I’m serving up another mussels menu for you again!! 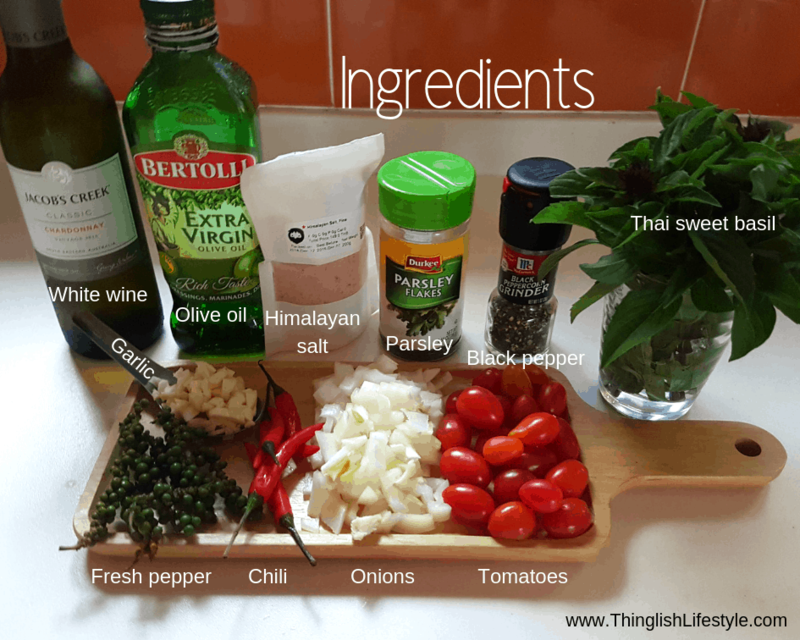 This time we will cook fabulous fusion food, with Thai sweet basil leaf and peppers, both are fresh from our kitchen garden too. The first thing to do is to start to cook the spaghetti. 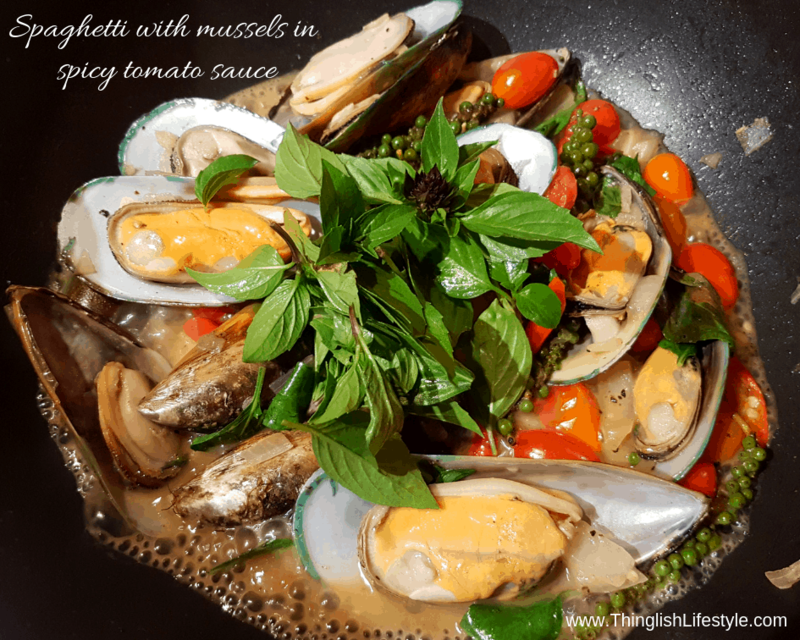 While you are waiting for the spaghetti you can wash the vegetables and the mussels. Heat a pan until hot, then drop some olive oil and butter in it. Then add the garlic and stir until it turns to brown off and smells real good. Add the chopped chili and peppers. Add the tomatoes and a little hot water. Now it’s time to add the mussels, salt and black pepper to taste. Pour some white wine into the mix (approximately 1 tbsp). Add the Thai sweet basil. Now add the cooked spaghetti and stir it gently through. Turn off the heat and it is now ready to serve!! 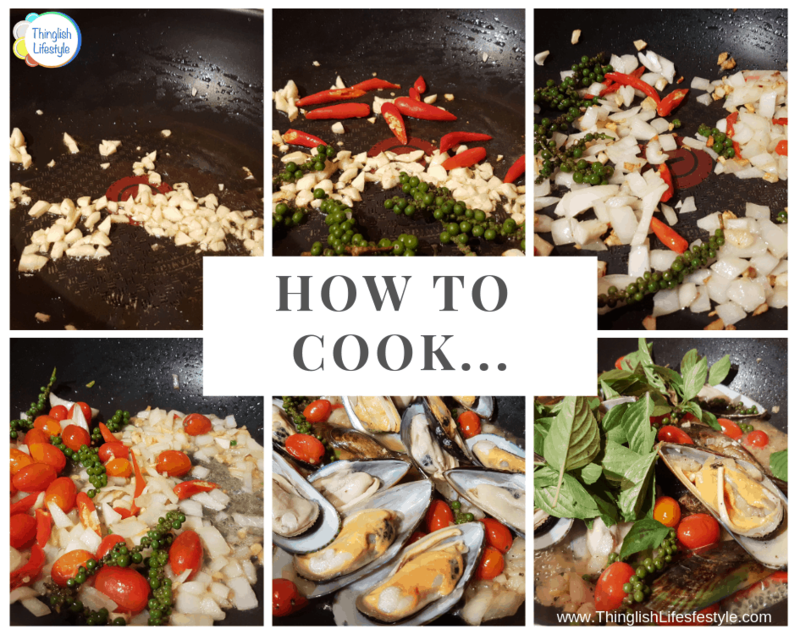 If you like mouth watering, authentic Thai food with a little twist, visit our website regularly to discover more recipes from the Thinglish Kitchen or leave a comment below. We post weekly! Stay connected for with us on Facebook and Instagram for exclusive daily photos and updates from Anarchy Farm and the Thinglish Kitchen.